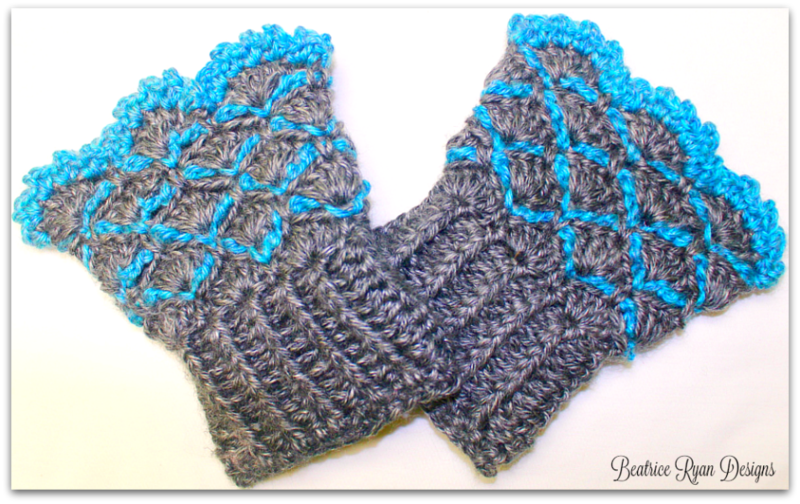 Steel Ridge Wristlet’s… New Free Crochet Pattern!! 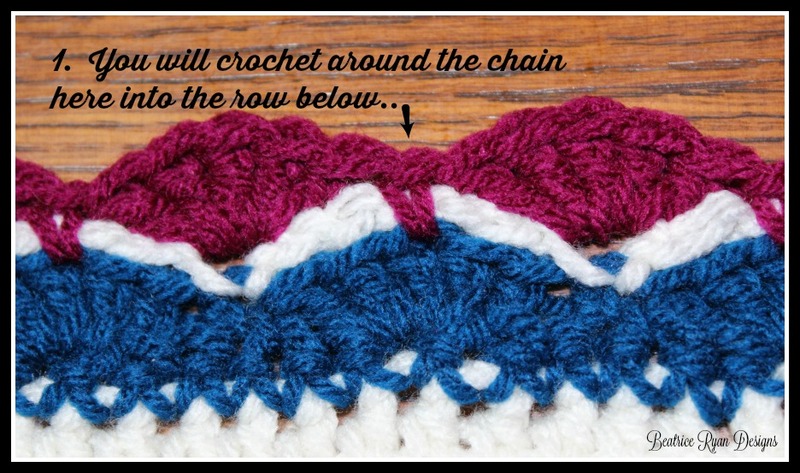 If you love this pattern.. Save it on your Ravelry favorites!! Click here…. 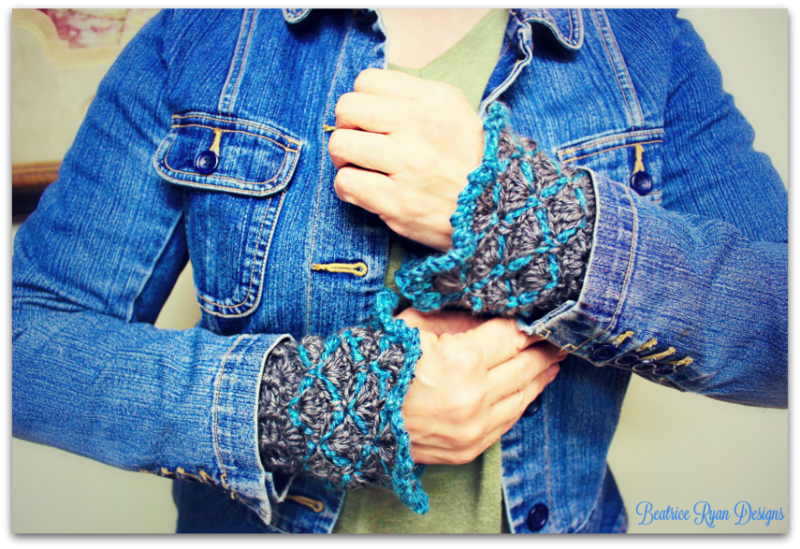 One of the many things I love is to add crochet to is my wardrobe… Have you ever had a long sleeve shirt that is just slightly to short in the arms… These Steel Ridge Wristlet’s add style, beauty and a touch of creativeness, along with a fix for the sleeve problem!! Recently I designed the Steel Ridge Beanie, and immediately I saw the shell pattern draping on my wrists… This fun, whimsical styled pattern is a quick project that you can whip up with your stash of yarn… Wear these Steel Ridge Wristlet’s with the Steel Ridge Beanie for a great fashion look!! Rounds 14-19: repeat rounds 12 & 13. Photo of sc around ch 6 into 3rd dc of previous round.